To me these questions are the same…and my answer in the same: ignition. Ignition is the spark that lights the flame that fuels the quest for excellence. It does not matter if you are an athlete or an entrepreneur, ignition looks the same. This blog post is about athletes and entrepreneurs because I really identify strongly with both of these groups, but everything I say also applies to any high performer, whether in music, other creative arts, or really any field you can think of. Ignition is an idea that can produce a physical, mental, and chemical reaction in your body. Now, I am not a scientist, but I know that if you poll high-performance human beings you will see that each of them has a story of the ignition that lit their flame and sent them catapulting into a deep obsession about advancing their athletic or entrepreneurial careers. 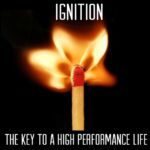 You will recognize people who have ignition because they are the ones who are working on their craft or business when other people are sleeping. They are so obsessed about it that they are thinking about it when they eat, when they sleep, and when they open their eyes in the morning. You can read about Kobe Bryant’s and Michael Jordan’s obsession for excellence in Tim Grover’s book Relentless. I believe ignition is what sets the elite performers apart from everyone else. Let me tell you my story as a child and then as an entrepreneur—it’s a bit of a starting from the bottom story. I really did not have a passion for anything until I was 14 years old. I was a girl who had fairly low confidence, who had been severely bullied because I was 5’10” in Grade 7, who did not fit in and did not succeed at much with respect to school or extra-curricular activities. Unknowingly, I entered a high school that was a basketball mecca. I had never touched a basketball up to that point. But I was 6 feet tall in Grade 9, and the minute I opened the door I was asked a hundred times if I was going to try out for the basketball team. My response was no the first 50 times, but by the end of that first week of school I decided to just say yes and go with it, just to shut them up. I knew I would never make the team. Well, it was the basketball coach who had called out to me, and he asked me if I wanted to play basketball for his team. I looked in the gym, and although I am a bit embarrassed to say it, I saw a boy shooting around in the gym and thought he was rather cute, so I said yes. I am now married to that boy, but I have to say that my decision to play for that coach changed my life in other ways, too. When I first stepped onto the court, he would not let me practice with the team. All he had me do was practice set shots that were very close to the basket till I mastered that skill. I think that was the drill that sparked me. I finally realized that I was in control of my own success. I could see that with consistent work and effort my shot was getting better. I realized I could practice and see results. I loved that. Just pure effort in, results out. I guess you could say I had my first taste of success and I loved it. It was like a drug and I wanted more. I poured hours of sweat and tears into practicing that summer and returned to my Grade 10 year a completely different player—I went from being the worst to one of the starting five. The more success I had, the more I worked because I wanted more. I needed more. It became my passion, my obsession. I had ignition and it lit my fire and nothing could get in my way. All I could think about was basketball. My whole world revolved around it, my food habits, my sleep schedule. I had no problem giving up a social life, or giving up anything else as long as I could focus on basketball. I had a goal of playing in university and I would stop at nothing to get there. Now, if you listen to my podcast, called The Making of an Entrepreneur , and listen to the story of how I started Elite Camps, you will see that I played varsity basketball in university but that the flame of my passion for basketball was blown out due to injury. When that happened, I felt more lost and miserable than at any other point in my life—something you often hear from entrepreneurs who recently have sold their company. When your flame goes out you lose your identity for a bit, until you find a way to transfer all your passion into something else. For me that something else was my business. I think that is why entrepreneurs love starting new businesses. They love the endorphins they get when they feel the rush of excitement of a new idea. Just watch an entrepreneur talking about a new business. She or he will undoubtedly get more and more excited as they talk, more animated, may even seem to be jumping around. Entrepreneurs all experience the same ignition: they have this amazing idea that ignites them, and then they spend every living moment trying to bring it to life. 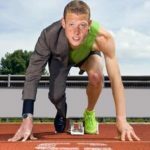 Just like athletes, entrepreneurs suffer many lows and have setbacks, they seek guidance from coaches and mentors, they spend years in the development stages. Sooner or later, though, everything comes to a head—for athletes it may be a national championship; for entrepreneurs, it’s taking their idea to market, winning the big pitch, or reaching a new financial goal. You know you are a high-performing human when it comes to a head for you, and win or lose, you are either celebrating the win or figuring out a comeback. We never stop wanting to achieve. Some people say athletes and entrepreneurs are obsessed. They are right. 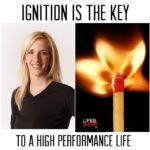 So, my answer to the questions are this: ignition can happen to anyone who wants something badly enough, and a high-performance life is available to anyone willing to put in the work. 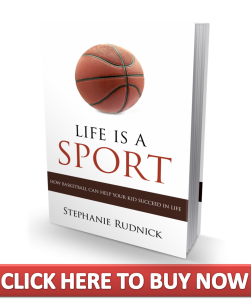 If you want your kids to be world-class performers in sport and later in their careers, or if you want to up your game in your own business, start living your life like an athlete. Find the passion that lights your fire and then put your head down and keep going until you get exactly what you want—on court, in life. I hope you enjoyed this blog post. If you think that someone on your team or in your life could benefit from reading this article please send it to them, or like it on medium to help spread the word so we can support more people in their quest for a high-performance life.